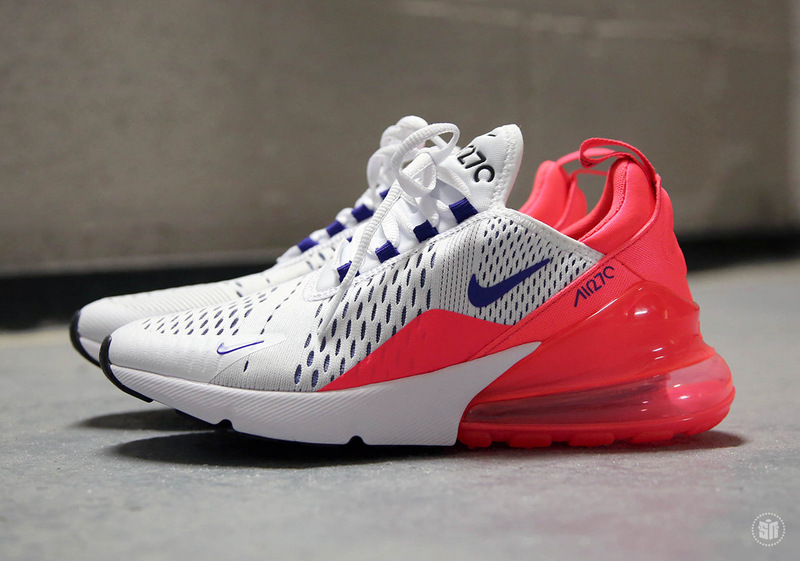 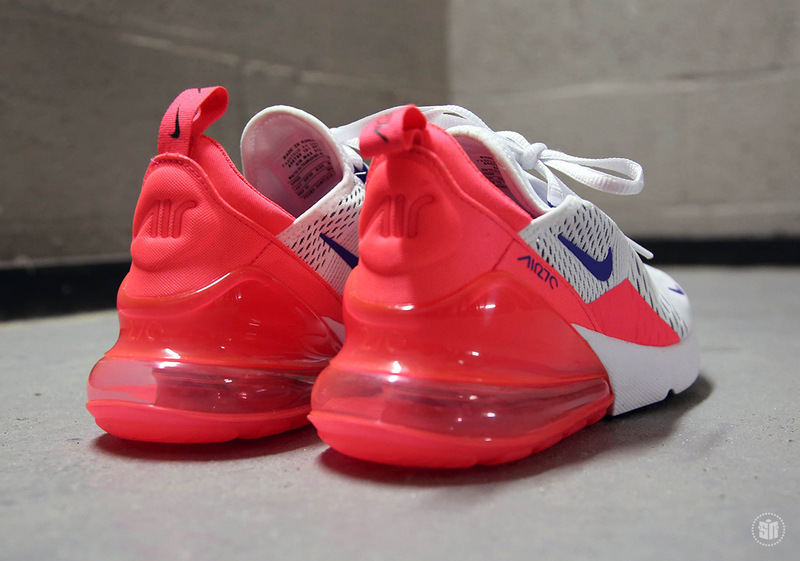 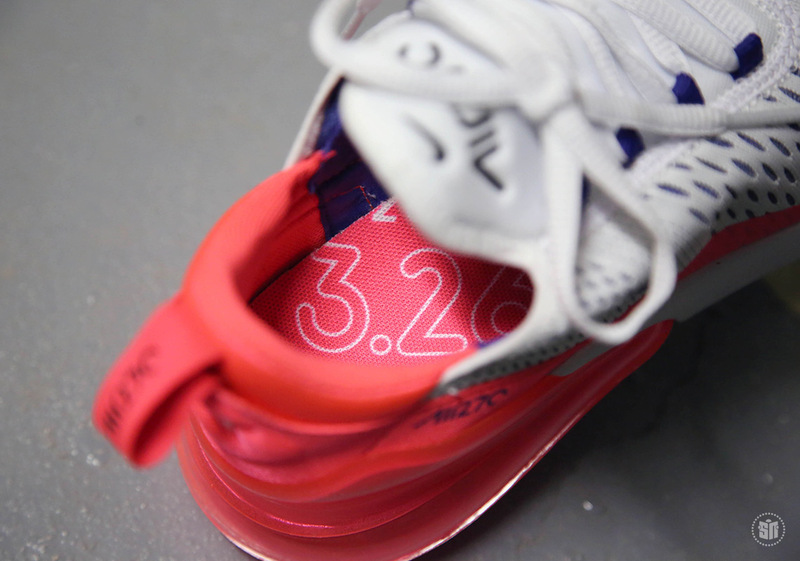 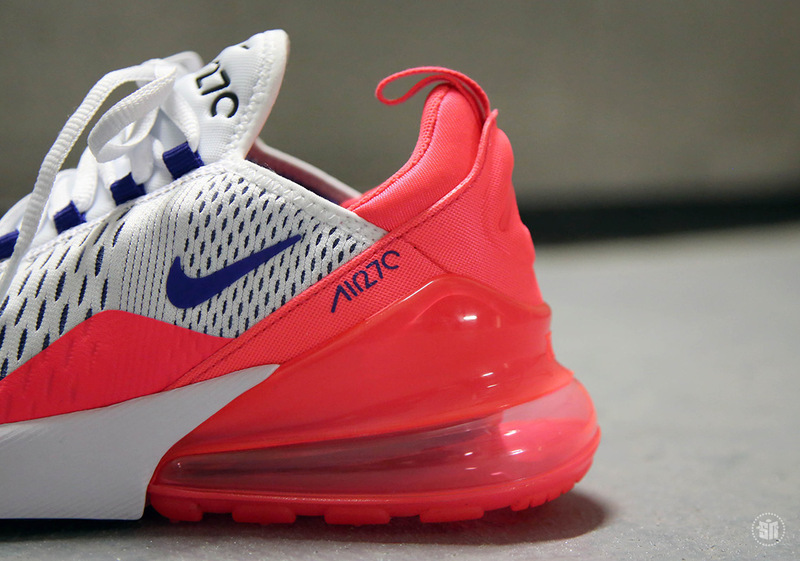 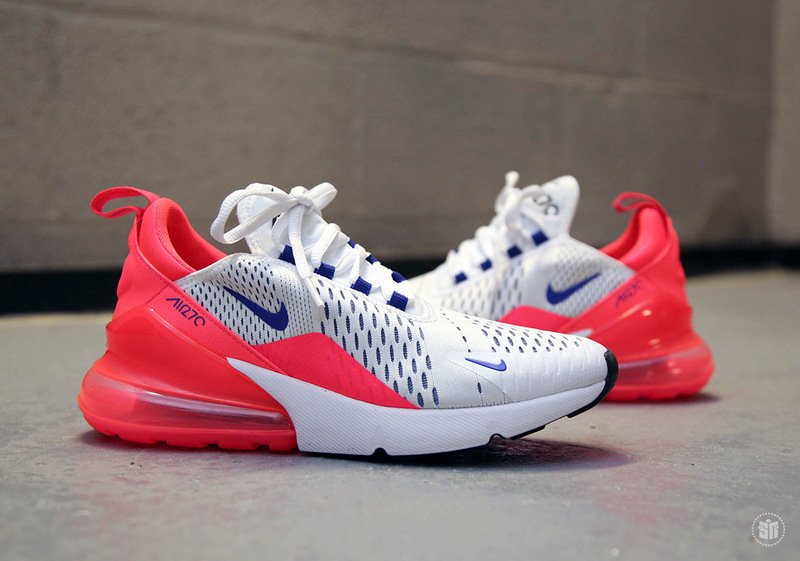 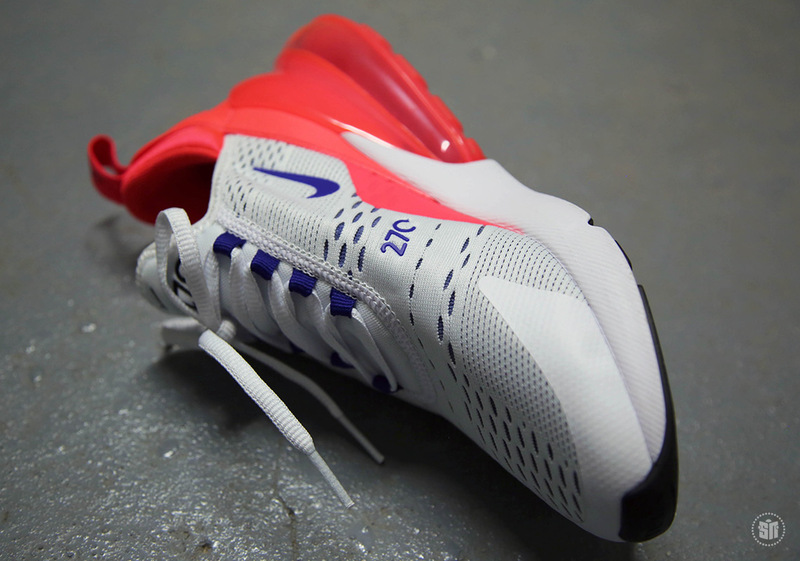 Another exclusive preview at an upcoming Nike Air Max 270 is upon us, and this one is just for the femme fatales of the sneaker game. 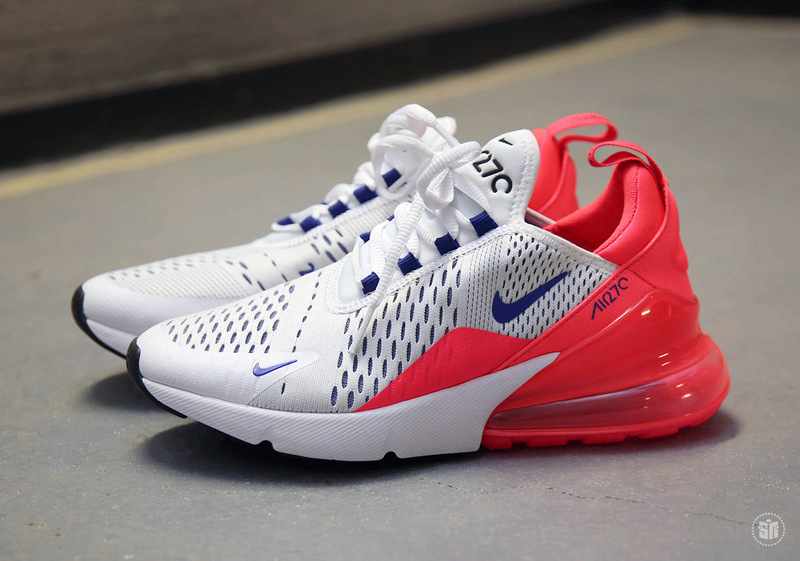 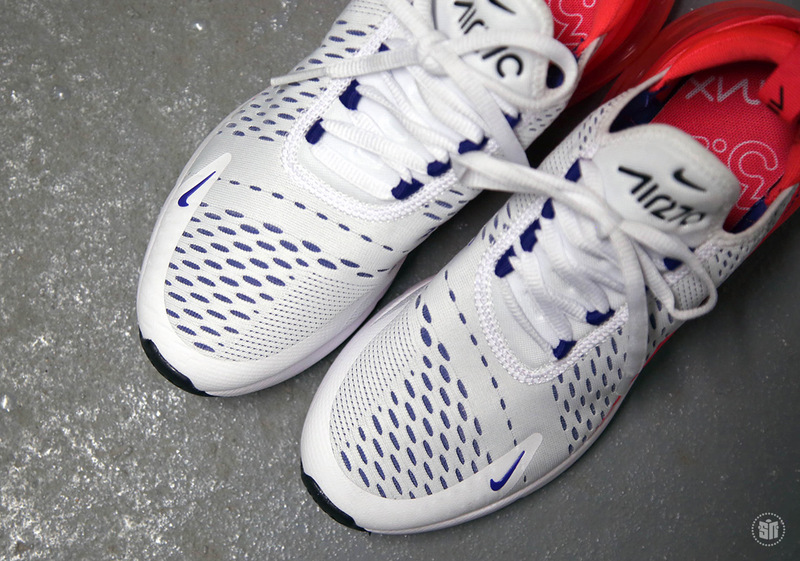 Almost immediately, you might recognize the white/ultramarine/solar red colorway from the original Nike Air 180, the shoe that partially inspired the design of the AM270 silhouette. 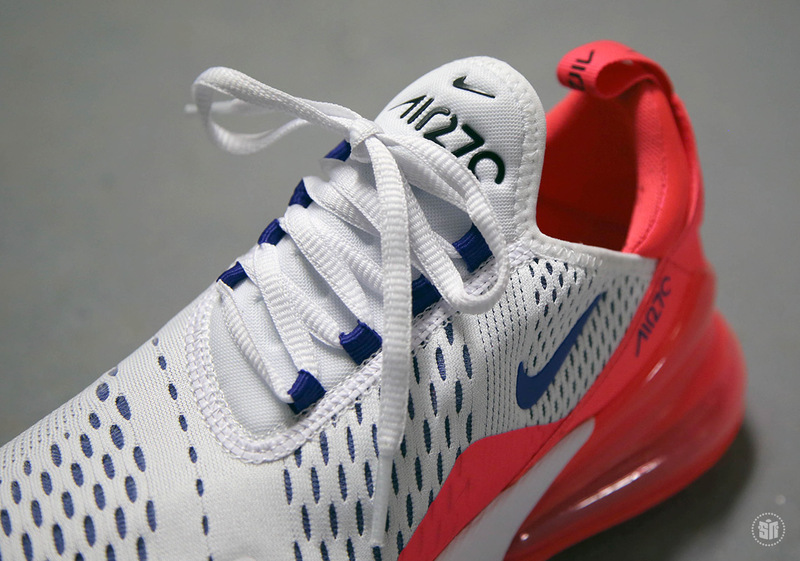 These will release on Air Max Day alongside the Air Max 270 “Teal”, which was inspired by the Air Max 93, and the “Triple Black”, which we revealed last week. 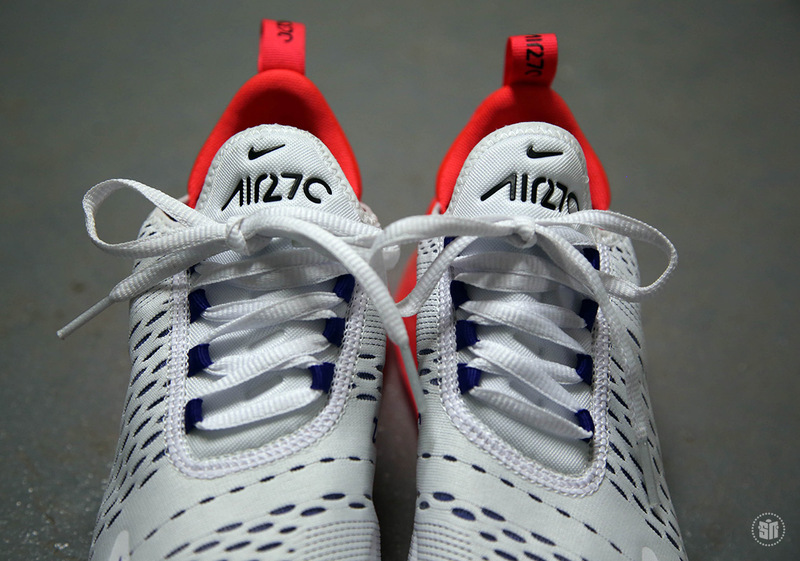 This detailed look reveals the incredible vibrant solar red on the massive Air unit at the heel as well as the inner bootie, while the ultramarine acts as a supporting member in on the Swoosh logos, branding, and lace eyelets. 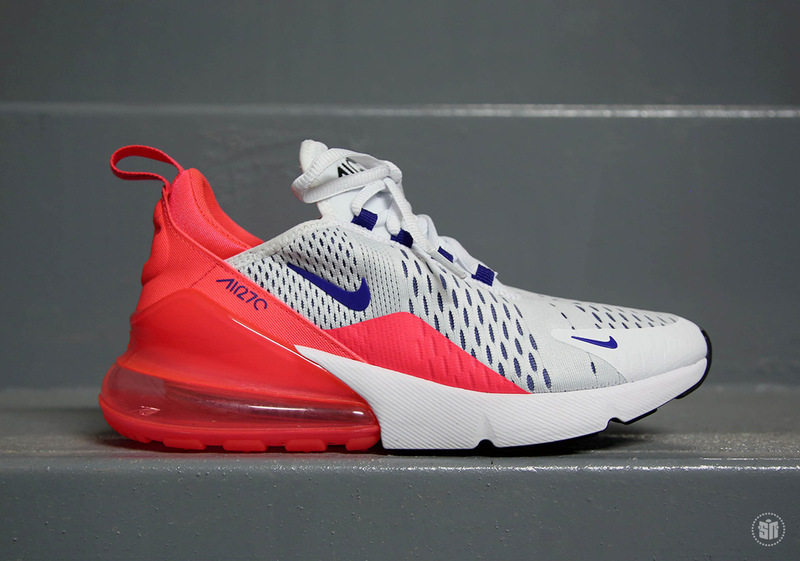 Stay tuned for more detailed look at the Nike Air Max 270 as several colorways will begin to release on February 1st.